Caribbean sailors have helped make a recent scientific discovery! Thanks to the CARIB Tails project, where sailors and other citizen scientists contribute photographs of whale tails, we now know that the humpback whales that mate and calve in the southeastern Caribbean (Antigua to Trinidad and Tobago) every year are potentially a distinct population from those that winter in the Dominican Republic. In 2014, CARIB Tails was launched — a citizen science initiative that enlists recreational sailors and cruisers to assist with marine mammal research, by photographing the distinct patterns on the tails of humpback whales in their Caribbean breeding grounds. The information submitted is used in “mark-recapture” studies (analyzed by the College of the Atlantic in Bar Harbor, Maine) to help monitor the recovery of this endangered species. CARIB Tails is a pioneering outreach program of the United Nations Environment Programme’s Specially Protected Areas and Wildlife’s Marine Mammal Action Plan for the Wider Caribbean Region and its Sister Sanctuary Program. The Sister Sanctuary Program was initiated by Stellwagen Bank National Marine Sanctuary in 2006, in collaboration with marine mammal sanctuaries in the Dominican Republic, Bermuda, French Antilles and Netherlands Antilles. 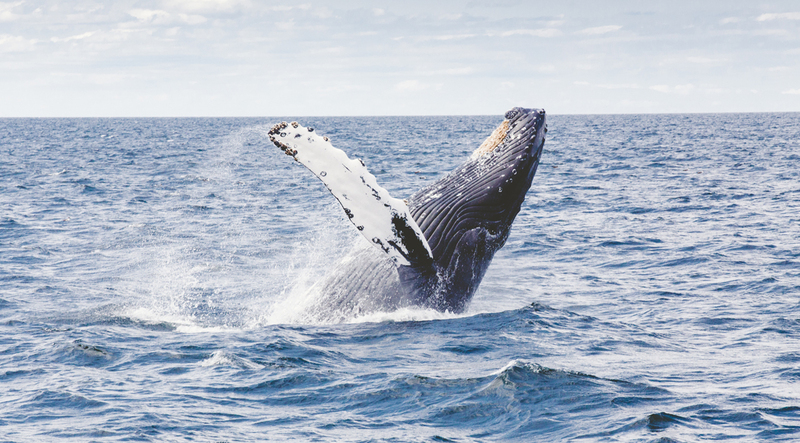 Over the past eight years the multi-sanctuary, science-based program has increased the protected areas for North Atlantic humpback whales from 2,100 square kilometres to 699,440 square kilometres (about the size of Texas). With education, conservation and science exchanges, this marine mammal protected areas network is the first such international partnership in the world protecting one of the ocean’s most iconic and beloved species throughout its migratory range. As additional sites join, this chain of sister sanctuaries will help to ensure a safer future for the endangered North Atlantic’s humpback whales — our international citizens. Tail fluke photos gathered and analyzed from CARIB Tails and sister sanctuary research partners offer new perspectives to the timing and movement patterns of humpback whales from the southeastern Caribbean. Recent data shows that the whales mating and calving in this region are not a representative subset of those that winter in the Dominican Republic (Stevick et al 2015). The peak in abundance of humpback whales in the southeastern Caribbean occurs during March and April, declining rapidly during May. This seasonal distribution pattern is in stark contrast to that for sightings reported in the Dominican Republic, where whales are at their peak abundances in February and early March, with few animals remaining by early April. The timing difference may be related to the feeding ground destination of these whales. The emerging data demonstrates that there is a strong tendency for whales from the southeastern Caribbean to migrate to feeding areas in the eastern North Atlantic, notably to Norway. The whales visiting the southeastern Caribbean represent a previously undescribed and behaviorally distinct population segment within the North Atlantic. This novel perspective will help to redefine the West Indian humpback whale breeding stock and provide the opportunity for continued evaluation and caution about changing the conservation status of this population. Join sailors taking photos of humpback whales! 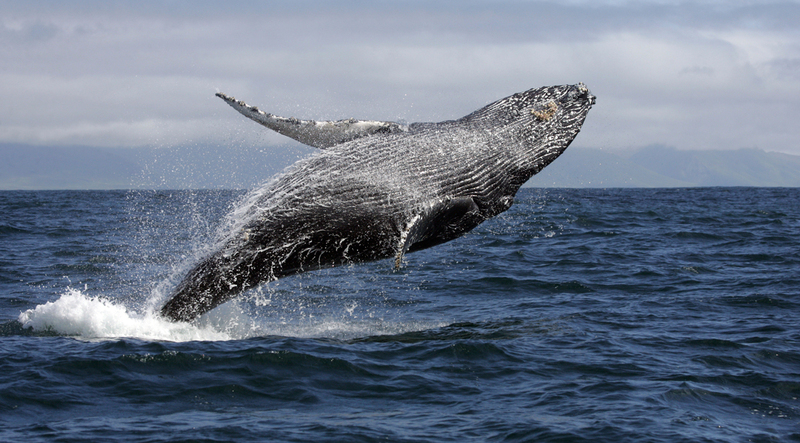 If you see a whale, grab your camera and send in the fluke photos! Visit www.caribtails.org for more information. Nathalie Ward, PhD is a marine biologist, conservation educator and marine policy consultant. She has authored numerous scientific publications and marine mammal field guides as well as children's books on whales, dolphins, sharks and coral reefs.